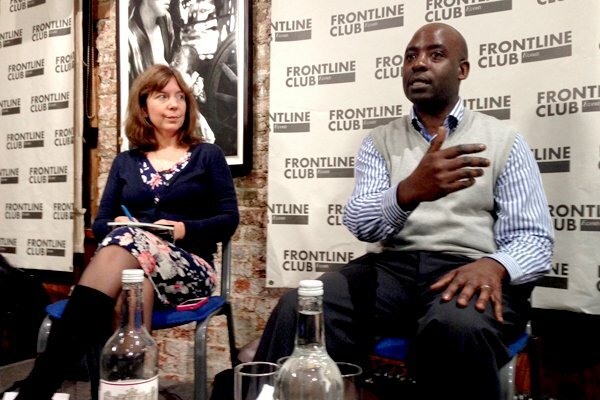 A week after the climax of the 3-day terrorist attack which started on 21 September at the Westgate shopping mall in Kenya’s capital Nairobi, the Frontline Club’s First Wednesday panel on 2 October 2013 – chaired by BBC Africa Editor Solomon Mugera – gathered to discuss the Kenyan government’s response to the event and how the once regional group al-Shabaab has grown into an international concern. Mary Harper, Africa Editor at the BBC World Service, started off by asking the panel what their initial reaction to the attack was. Kenya has been a target for attack from al-Shabaab since it pushed the terrorist group out of the capital Mogadishu and the highly profitable port of Kismayo, during Kenya’s invasion of Somalia in August 2011 and September 2012. “…Some of Kenya’s traditional knee-jerk discrimination and racial profiling of Somali’s has diminished in the last couple of years and I think that’s a direct consequence of the invasion of Somalia… It’s actually had to work much harder with the refugees, with the Somali community. To address the problem of al-Shabaab further the panel delved into why they are so popular and what support they have within Somalia. “Initially it was more nationalist; a lot of youngsters joined al-Shabaab when the Ethiopians invaded Somalia. And then later a lot joined for ideological reasons.